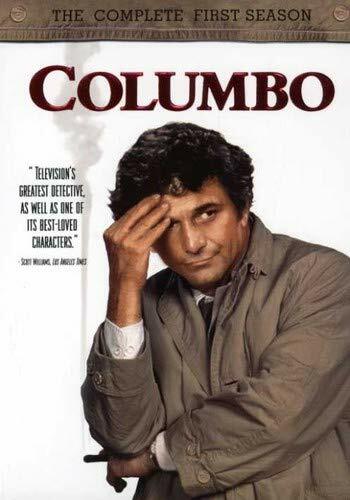 Buy Columbo: The Complete First Season on DVD. This year DVD distributors have begun to understand the demand for television series in DVD box sets, mostly based on nostalgia. There's a huge buying frenzy, followed by disappointment as viewers realize that very few of these old shows tend to hold up. But out of the ever-increasing discard pile, three have made their way to the top, "The Simpsons: Season Four," "Star Trek: The Original Series - Season One" and "Columbo: The Complete First Season." "Columbo" succeeded so well not because of its brilliant detective stories or its twisty mysteries -- in fact, the show's M.O. included showing the criminal committing the crime in the show's opening minutes. Very often the criminals spent the entire show acting guilty. No, the show worked partly because of the wealth of talent involved, from wonderful directors like Steven Spielberg, character actors like Ray Milland and Don Ameche and cinematographers like Russell Metty (Touch of Evil). But most of all it worked because of Peter Falk. It's difficult to imagine anyone else playing this role. Falk's gruff but warm voice, slightly mumbled, and his shifty eyes looked at home in that rumpled raincoat. His method involved becoming friendly with his suspects, then becoming a pest, but always remaining polite. His most successful technique came when he was seemingly finished questioning a suspect; he reaches for the doorknob, waits for the suspect to breathe a sigh of relief, then: "Oh, one more question if you don't mind, ma'am." The set also includes Steven Spielberg's episode, Murder by the Book, which shows the young filmmaker experimenting with the medium and attempting to use wide shots in place of the usual close-ups. Not surprisingly, the young Spielberg's work has aged much better than some of the veteran directors' work, which now looks showy and hippie-ish, using odd special effects, filters and lighting schemes. DVD Details: The "Columbo" box set comes with no extras, but there's a lot of meat within the nine episodes, so it doesn't really need any.